We sell Niigata-made goods here in Tokyo to share their special appeal with people coming from all over Japan and the rest of the world. The true appeal of Niigata lies in the various food products provided by the rich natural environment of our prefecture. The prefecture is very famous as the production capital of “Koshihikari,” Japan's most delicious rice. Furthermore, Japanese sake made in Niigata is incredibly popular all over the world. 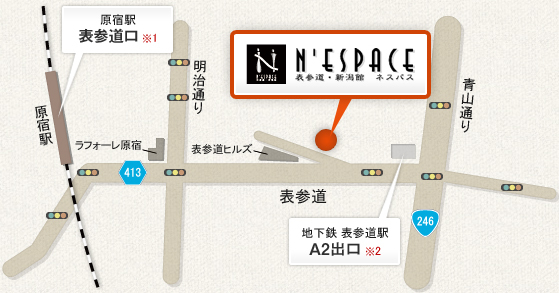 N'espace is a place where you can get these delicious foods in Tokyo, and is located in the Harajuku/Omotesando area. We look forward to seeing you on your next visit. 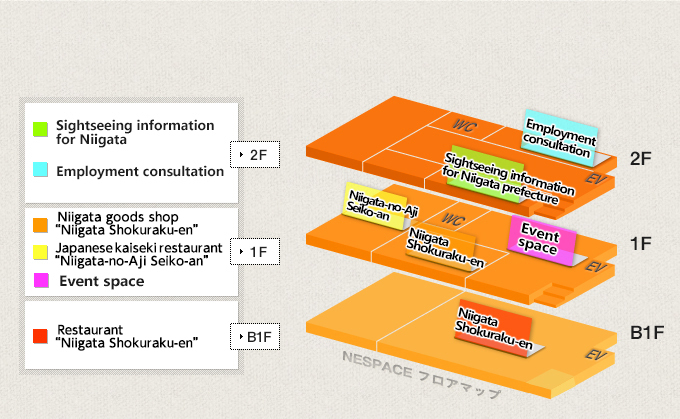 N'espace is a coined word, made by combining the "N" from "Niigata" and "Network" with "ESPACE", the French word for "space". 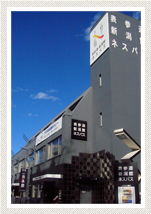 Nearest station: 1-minute walk from the A-2 exit of Omotesando station on the Tokyo Metro subway line. 10-minute walk from the Omotesando exit of Harajuku station on the Yamanote line.